The desktop data recovery service is a service that If your hard drive has stopped working or your desktop computer can no longer read or recognize your hard drive, we can get your data back for you 98% of the time. We are a true nationwide provider of desktop data recovery service, PC Computer repair support and Laptop professional repair services. Besides PC data recovery at our iPhone, Smart device, PC Computers and laptop repair service center in Bellville Cape town, we have recovered data on Computers, iPhones, Smart devices, PC and Laptops for customers all over South Africa including Johannesburg, Pretoria, Durban, Kimberly, Bloemfontein, Port Elizabeth, Polokwane, Pietermaritzburg and Nelspruit plus many other cities. 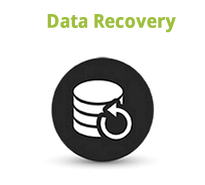 Desktop Data Recovery ServiceThe desktop data recovery service is a service that If your hard drive has stopped working or your desktop computer can no longer read or recognize your hard drive, we can get your data back for you 98% of the time. We are a true nationwide provider of desktop data recovery service, PC Computer repair support and Laptop professional repair services. Besides PC data recovery at our iPhone, Smart device, PC Computers and laptop repair service center in Bellville Cape town, we have recovered data on Computers, iPhones, Smart devices, PC and Laptops for customers all over South Africa including Johannesburg, Pretoria, Durban, Kimberley, Bloemfontein, Port Elizabeth, Polokwane, Pietermaritzburg and Nelspruit plus many other cities.